Is your customer interested in one of our mixers, and would he/she like to know which wash basin would go well with it? Or vice versa: has your customer chosen the basin, and is now looking for a matching AXOR mixer? To be able to offer your customer the best advice, you would normally have had to undertake some thorough research. But why not use our mixer/wash basin matrix and let us take care of the hard work for you. Ensuring that the mixer and wash basin go well together is too important to just leave to chance. AXORbathroom collections are developed in collaboration with renowned designers. The AXOR mixers are part of a visionary bathroom concept, where all the individual elements are finely attuned to one another in the product design. The AXOR design experts kept aesthetics in mind when putting together this selection, so you can be confident of matching these wash basin mixers with the right wash basin. In the mixer/wash basin matrix, we recommend matching items from the current product ranges of renowned wash basin manufacturers. How to find exactly what your customer is looking for: in our style matrix, you will find lots of pictures of AXOR wash basin mixers. In this practical overview, find out at a glance which wash basins fit the bill in terms of design. When selecting the basins, we paid particular attention to style, price and design requirements. If the customer needs to make a choice based on aesthetics, the very best place to do this is with you, the dealer. You and your customer can look for a mixer/wash basin solution together. And your customer can be sure of having that dream combination installed professionally! 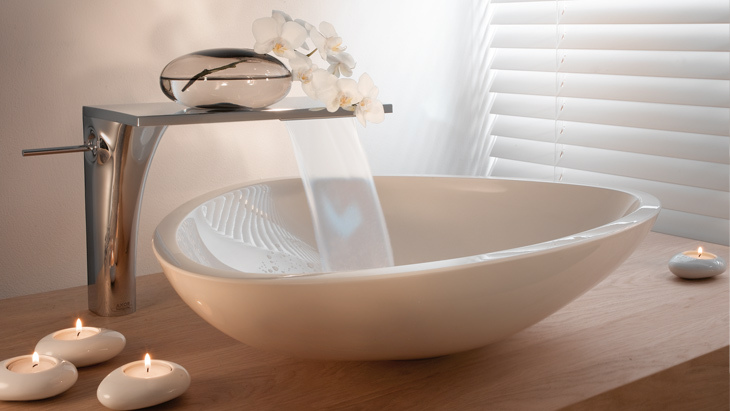 The perfect AXOR Starck Organic mixer for any wash basin. Our bathroom experts recommend these combinations, tried and tested in terms of their comfort and convenience.